On 09-12-17 the Bread Box in Hendersonville was the victim of a robbery. 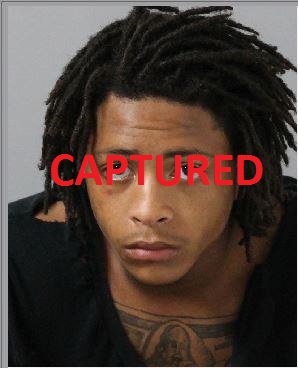 As of 09-18-17, three persons have been taken into custody for their roles in the robbery. Jonquatus M. Guthrie is currently wanted for his alleged involvement in the robbery. Guthrie should be considered armed and dangerous. Please be cautious and notify your local law enforcement if you know his whereabouts. Case number, 17-06434. Detective Edwards and/or Detective Harrell. Submit tips by calling the Crime Stoppers Hotline (615) 573-5400, remain anonymous at crimereports.com or text tips to 274637 (CRIMES) using keyword TIPHPD.